Many smartphone manufacturers are releasing their flagship smartphone. Some smartphone manufacturers are competing to deliver high-specification products. With many advanced features to put the best homemade product of the year. And here’s a row of smartphones with high specifications that come out in 2017. If talking specification kitchen runway, this smartphone to be the number one at least until the end of 2017 or early 2018, how not to own benchmark scores almost the same or even beat MacBook classmate laptops. In addition, there is a new feature of the iPhone face ID as a lock screen, until there is without bezel with AMOLED screen, making this smartphone more extraordinary. If you prefer Android than iOS this is the best smartphone in android for now. Carrying the screen with a ratio of 18.5: 9 and a very clear screen. The minimal bezel will make it very convenient for multimedia like watching movies and playing games. 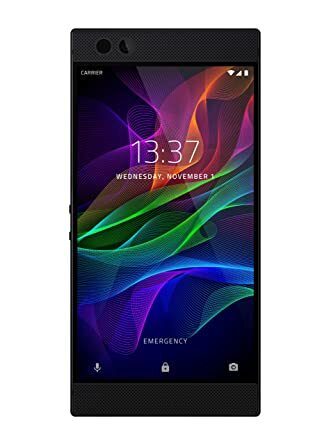 Because it was very powerful that is using Qualcomm MSM8998 processor Snapdragon 835. Qualcomm processor made the fastest for the moment, with a 6 GB ram that will be able to bulldoze all applications android games very smoothly. Do not forget also the dual camera which has a resolution of 12 MP with aperture 1.7. Makes it capable of being used in various light conditions. If you want to get the latest version of Android when there is an update OS use this Google Pixel. Google pixel 2 also has some advantages such as its incredible camera. Especially in terms of image stabilization that is perfect for you who like to record video via smartphone. With Processor using the same chipset with Samsung galaxy note 8 is Qualcomm MSM8998 Snapdragon 835. 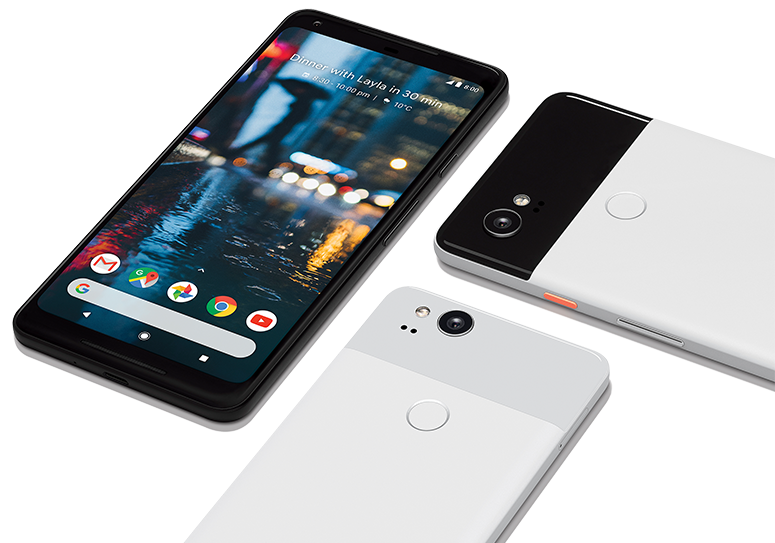 Unique features in Google pixel is eSIM that serves to replace the standard sim card so no need to bother changing cards. 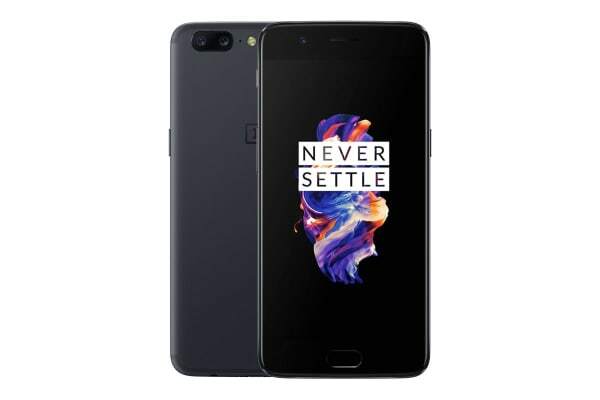 Oneplus 5 could be a consideration for a great smartphone but with a cheaper price. If referring to the Antutu Benchmark score, Oneplus 5 is still on it Samsung Galaxy Note 8 despite having the same processor that is Qualcomm MSM8998 Snapdragon 835. This is probably because the pixel density of the screen from Oneplus 5 is lower than the Samsung galaxy note 8 so that the work of the processor can slightly lighter. In addition, also Oneplus 5 has 2 variants where the other has a super large RAM is 8GB. Dual cameras also have great resolution that is Dual: 16 MP (f / 1.7, 24mm, 1 / 2.8 “, 1.12 μm, EIS / gyro) and 20 MP (f / 2.6, 36mm, 1 / 2.8”, 1 μm). Plus 16Mp front camera resolution. But of course, the price of Oneplus 5 is much cheaper than the Galaxy Note 8. For you who is a true gamer, it seems impossible if you never know the name of Razer. The manufacturer of hardware gaming is now penetrated the smartphone world by presenting Razer Phone. A smartphone to play games certainly must have a high specification in order to avoid lag. Razer Phone also optimizes the frame rate on the screen display so it will present the perfect look for gameplay. Razer phone will be able to bulldoze all android games that exist today without any lag in the slightest. Another advantage lies in dual speakers that will make the game feel more fun. In addition to special games to play, this smartphone also has a dual rear camera that becomes the benchmark mandatory for all smartphones. One technology that almost always exists in our lives is web and mobile technology. In today’s urban society, especially the millennials, web and mobile technologies have become quite important aspects. Coupled with the rise of social media and applications to exchange messages. Anyone can communicate with his friends anytime and anywhere. But how are these technological developments from the beginning discovered to date? And what will be the future of web and mobile technologies going to be like? Talking about technological developments, less complete if we do not know how these developments begin. Actually when the first time the web “made”, this technology intend to facilitate physicists in exchanging information. In 1980, an Oxford University graduate named Tim Berners-Lee. Worked for CERN and there he built an internal system to make it easier for people to exchange information. The system is a collection of pages in the database that mutually refer other pages. Capitalize the system. In 1990, Tim and his friends combined hypertext (reference system between pages) and the internet to create a web page. And in short, in 1991, finally the WWW project that we know as the web was announcing to the world. The next development mark by the emergence of smartphones and mobile applications. In 2007, Apple launched its first iPhone. One year later Google launched its first Android smartphone. The smartphone release with the growing market for mobile applications. Mobile apps are becoming increasingly popular among smartphone users as they are more practical. Based on statistics in 2013, smartphone users use an average of about 26 apps in a month. Along with the many websites that implement responsive design, and supported by other factors such as internet speed and increased mobile device processor speed, and limited mobile storage device capacity, smartphone users are becoming more selective in installing applications. Whether or not he really needs the application, whether the size of the application is large, whether the application already has a responsive website, are some of the things users consider before installing an app. By 2016, more than 65% of smartphone users in the US do not download 1 app in a month. Most smartphone users only use social media and messaging applications only. Apart from the user side, the development of the use of websites and mobile applications influence by the application developers. The development of mobile applications requires a higher cost because it has to create applications on several different platforms. While with the responsive design, a web application can make once and use in various devices with comfort. With these reasons, some technologies are emerging to support the creation of more efficient mobile applications, by generating applications for multiple platforms from just one base-code. This technology is also called hybrid app which will be explained later. As the business owner, you must always see to it that all the things you are doing for your business are for its long-term success in more ways than one. Even so, if you intend for your business to find some success in every move that it will make, you have to keep track of every aspect of the business that you are running. Take, for example, you have to pay attention to the accounting tasks, IT services, and other areas of your businesses. With your managed IT services, see to it to outsource a company that provides you such services if you really want to spend on something that will be worth it for the success of the company that you have. You will never lose anything with outsourcing managed IT services because if you do, you will be reaping the latest in IT services without having to worry about spending way too much of your money. And yet, what steps must you take for you to be able to seek the services of a professional managed IT service provider that you can outsource? If you want to discover more about the things that you must consider when hiring one, this homepage will let you read more now for more info. Of course, the very first thing that you must do is to research. hat offer you these managed IT services. And just like most of these companies, you see this company that is better than the other and one who has this service than the other. In addition, despite the company offering you a good performance in their IT services, you might only get the usual IT services and nothing more. When choosing which company you must outsource your managed IT services from, be sure to find one that an offer you several options of IT services as well as offer you the option to customize them. When it comes to your company, do know that you are a unique entity that is not just like the other companies you see out there. This may mean that the IT services that you will be needing are unlike you have ever seen most companies to need. If you are the owner of your company, you must then do what you can to find a managed IT service provider that can meet your needs and goals. The next part is looking at your options and where you can get them from. There might be some people in your circle of friends or your business associates who have some idea which company you should try considering to give you managed IT services. When this seems like an impossibility, the internet can give you a wide range of options. When you have come up with a short list, you then proceed to check their respective websites to see what their IT services are. Also, make sure to read the reviews being posted by people and companies who have tried hiring them. Make sure to click for more about these companies and view here! Many people tend to download smartphones based on the word of mouth from friends and colleagues. Some people tend to download smartphone application on random basis which they do not necessarily use. There are also individuals who tend to download smartphone application that they end up utilizing on minimal basis. It tends to be easy to make life far much easier where you choose the right smartphone applications. It would be critical for one to note that downloading a smartphone application blindly would end up being a waste of time as there are high chances that he or she will never use it. One would also need to note that on average, most people tend to have about 36 smartphone applications that are either not used at all or underutilized. Some individuals tends to get an idea of an application they can use from a given website or even land a homepage with a good description of a smartphone application they may be interested in. Others came to learn about a specific smartphone application through TV. It is always to consider having a website where you can always learn more about smartphone applications. One would always stand higher chances of downloading a smartphone application that best suits him where he or she takes time to go through a website that exposes him or her to what to expect from the application in question. While there are both free and purchased applications, checking what those who are using an application have to say is very wise. You would need to check whether there are any free trials for the purchased apps and commit yourself to knowing how it works so that you can make decisions based on facts. Some people will always go for a given smartphone application where they hear their friends, workmates or even members of the family talk of a given smartphone application. Some people on the other hand will be more willing to download a given smartphone application where there is a coupon attached to the download or even a gift. As a matter of facts, there are some people who would be willing to download an app they uninstalled if they were offered a coupon or a discount in their next purchase making incentives influential in the download of applications. The best thing about relying on a professional website is that one always tends to have professional advice. this product would save him the much trouble that comes with installing and uninstalling of applications before landing the right one. One would be sure of what to expect from the application. Be Structured is an IT service provider company located or rather established in Los Angeles eyeing to avail and availing quality services to businesses or clients of all sizes. Throughout the years, this growth and development has been acknowledged through making quality services their focal point of reflection and operation. These services are made exceptional following their thoroughness when it comes to hiring and identifying professionals to join their teamwork. Recently, Be Structured hired Timothy Sheehan as their new CTO. This new CTO- Timothy Sheehan has over the years garnered irrefutable experience and knowledge which Be Structured group of technologies has pinpointed hence hiring him for his craftsmanship in June this year. Timothy Sheehan has extensive knowledge and experience in MSP world which is highly necessitated by Be Structured in order to enhance the quality of the services they are availing to their clients. Timothy Sheehan relies on this experience and their garnered knowledge to work together with the teamwork at Be Structured eyeing at availing some fundamental nips that will motivate and trigger company growth and overall customer satisfaction. Timothy will help the company implement the best and most prolific MSP practice that will blend with the care that Be Structured has to the success of their clients. Before Be Structured could finally hire Timothy Sheehan as their CTO, they had to facilitate their due diligence. It was after thorough scrutiny that they acknowledged Tim to be the most experienced chief technologist. Throughout his career, Timothy has managed to pave his trajectory through availing indispensable solution and services to businesses of all walks and sizes. Immediately after Be Structured hired Timothy, the news did spread far and wide due to the alluring reputation of Timothy over the years. He has accumulated his experience for more than two decades. This company has garnered info about the tremendous impact that their new CTO will have towards their business and customer satisfaction. There’s need for Be Structured to fully meet their clients’ demands and needs. For a company like Be Structured to make this possible, growth and product development are inevitable. This is something that every IT based company must learn and it will help thesem identify professionals or IT service providers who are competent and reliable like Timothy Sheehan. It has been a common thing for many people in different part of the world to be in lack of the training. A reasonable portion of the community are in need to learn more in multiple areas. One of the essential need among many people is the education. Of late a reasonable portion of the community will be ready to pay the cost of learning in the area that they need to specialize in at all the time. The reason why people are in need of getting more info is to make sure that they are well equipped in their various areas. Now here in this century those people in need of the education will get the education in various ways. A lot of people in various parts of the globe will make sure that they include technology when in need of learning more. One of the areas that are making significant steps here in this modern world is the technology area. Hence, a good number of the people in the quest to discover more will make sure that they incorporate technology in the quest to get more info. Of late a lot of people have shown the interest to engage technology in the learning process. Incorporating technology in the education sector has the following benefits. In most cases a lot of people in the pursuit to get more details in a given area will be able to do so in their place that they are at due to the efforts of technology. Of late many people in the pursuit to acquire more information will make sure they make use of technology at all the time. Hence it will be possible for one to access more info in the area that of specialization despite the location that they are located. Of late technology has made it possible for the availability of online platforms that can educate people by having devices that will be able to access the internet. Hence this has proved to be convenient to get an education in this century. As a result, it will pay off to the person who will make sure that he or she incorporates technology in the quest to earn more info. Smartphones have become common than ever and are no longer accessories for the financially superior members of the society.For a smartphone to have the necessary effect, you need to install the proper application as per your needs.You might put in something that helps you to learn more about another language.As application development grows, so does smartphone purchases as people becoming more reliant on technology.Corporates have joined the group and are taking advantage of the trending smartphone utilization to advertise themselves properly.With such capabilities, industry trends have tremendously been altered.Without further ado, let’s figure out how smartphone applications have changed the game. If you are a gamer and still need that experience wherever you go, then there is a gaming application for you.A gamer doesn’t have to wait until they have their gaming device, they can catch up on their favorite game directly on their smartphone.Any consumer can now get hold of a smartphone as the market is highly populated with manufacturers.Additionally, application developers have vastly increased in number.Based on the above factors, there is a slight chance that you are going to be limited of opportunities to get whatever that you want when you go out shopping for a smartphone.When you look at the current situation of application developers and look back a couple of years back, you will notice that there has been a big growth in firms that can develop smartphone applications.Numerous companies are now entering the market and utilizing this opportunity to build applications for the market and also to advertise their services.